Benjamin Franklin conceived of it. Sir Arthur Conan Doyle endorsed it. Winston Churchill campaigned for it. Kaiser Wilhelm first employed it. Woodrow Wilson and Franklin Roosevelt went to war with it, and more recently the United States fought an energy crisis with it. For several months every year, for better or worse, daylight savings time affects vast numbers of people throughout the world. And from Ben Franklin's era to today, its story has been an intriguing and sometimes bizarre amalgam of colorful personalities and serious technical issues, purported costs and perceived benefits, conflicts between interest groups and government policy makers. Daylight savings time impacts diverse and unexpected areas, including agricultural practices, street crime, the reporting of sports scores, traffic accidents, the inheritance rights of twins, and voter turnout. David Prerau holds a Ph.D. from M.I.T. 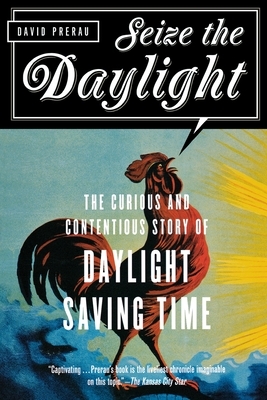 and has coauthored three U.S. government reports to Congress on the effects of daylight savings time. He works as a senior "knowledge expert" and specializes in artificial intelligence. He lives in Chestnut Hill, Massachusetts.